Are you finding bookkeepers in Brent Cross who would take care of all the financial activities of your business? Then your search ends here. Miranda Management and Accountancy Services Limited will be providing you the quality solutions at the cheapest rate. We have a team of chartered certified accountants in Brent Cross. And our auditors are extremely professional and experienced in accounting services. So what are you waiting for? 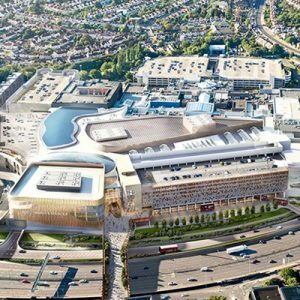 If you are located in Brent Cross, London feels free to drop by our office and have a chat with one of our experts. Just try our service once, and get your result on first hand. Miranda Management and Accountancy Services Limited is a leading accounting firm in London. We provide bookkeeping, tax preparation, CIS, Payroll, Mortgage Planning, Self-assessment, Property Taxation, Auditing and much more. Our team is a brunch of experienced professional accountants. Also, we have an excellent customer support team working 24/7 to address any issues you might face. They are committed to provide speedy resolutions to our customers and also ensure that you do business peacefully without having to spend hours understanding HMRC compliance adherence, Company House and other accounting bodies. Our experienced accountants in Brent Cross know exactly how to find the right solutions for your business to maximize your profits.